OPINION: Community gardens could revolutionize the way urban areas in the Arctic get food — reducing both their carbon footprint and their dependence on imported food. Imagine Iceland engaging in an experimental project that could allow citizens to come together and grow fruits and vegetables — apples, bananas, tomatoes and lettuce — in a public garden. Now, imagine doing that with zero carbon emissions. This small Arctic nation has all the elements to make it possible. With abundant renewable energy and a largely urban population, Iceland could create community gardens that would revolutionize its city food systems and reduce dependence on produce imports from as far away as Chile. More than nine out of 10 of Iceland’s inhabitants live in urban areas and the capital Reykjavik and environs is home to half of the population. 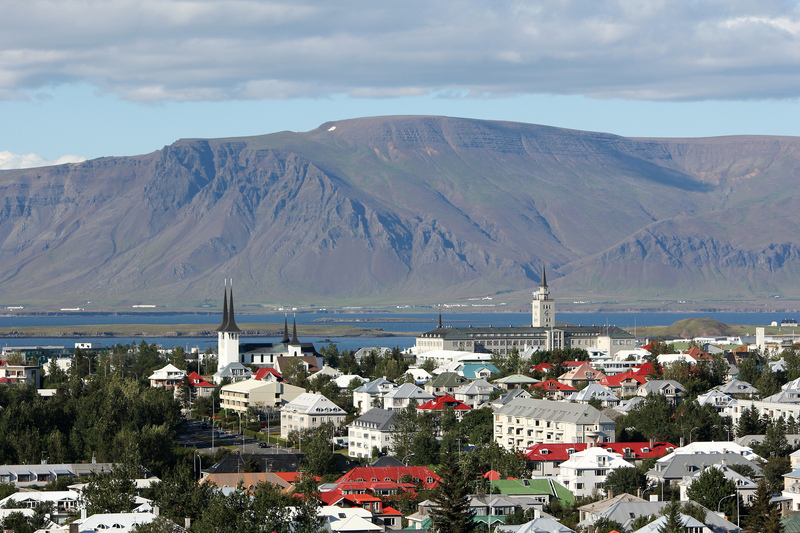 With a booming tourism sector, Reykjavik offers opportunities for economic prosperity, employment, and improved quality of life. It is an emergent hub of knowledge, culture, and innovation, but, like cities in the rest of the world, it is also where the generation of greenhouse gas emissions and waste, urban sprawl, and overconsumption of resources converge. The conjunction of opportunities and challenges that come with development in a highly urbanized but relatively small country could turn cities like Reykjavik into a unique place to pilot transformational change. Iceland is unique in that 100 percent of its electricity comes from hydropower or geothermal energy. The city of Reykjavik could use this energy to power community greenhouses where Icelandic people could get together, know each other, and grow their own food year-round, in a temperature and light-controlled environment. Inclusive, zero-emissions urban agriculture is possible in a country like Iceland; Reykjavik can create community gardens in public land or existing infrastructure. The municipality can learn from social innovations from other initiatives in the Arctic. Successful, seasonal community gardens exist in places like Fairbanks and the Inuvik Community in the Arctic. On the other hand, private enterprises such as Fridheimar already use geothermal energy to produce tomatoes and offer a unique food experience for locals and tourists. Reykjavik could create an innovative combination of both, give it scale, and make it a public space, citizen-led initiative. A citywide program for renewable energy-powered urban community gardens could bring economic, social, and environmental benefits to Iceland and the world. According to Harvard-MIT’s Atlas of Economic Complexity, Iceland imported $740 million in vegetables, foodstuffs and wood, in 2016. An important part of the vegetable imports, like tomatoes, potatoes and onions, came from other European countries. Others, including apples, bananas, and rice, originated in distant nations like Chile, Ecuador, and Thailand. These products, grown and harvested in the tropics, and then transported to, consumed and disposed of in the Arctic, have a significant environmental impact across the food chain. A high-carbon footprint comes from the use of certain fertilizers and land use change in their production, as well as to the use of fossil fuels for their transportation (both within and between origin and destination countries). A citywide program for local food production would reduce the food systems’ carbon footprint, eliminate the use of fertilizers and pesticides, and close the circle by using organic waste for compost. Moreover, it could improve the country’s fiscal balance by reducing its imports. Socially, the transformation of public space into common productive spaces can promote social cohesion, citizen participation and resilience. Community gardens support food security and healthy nutrition, and also strengthen the ties between people and the environment. Collaboration related to urban agriculture generates stronger social ties between neighbors and can facilitate a better understanding of diversity and inclusion. This is especially important for places like Iceland, where very short days in winter and increasing immigration may affect social system dynamics. Global climate change, environmental degradation and natural resource depletion call for truly innovative approaches for sustainable development. Food systems are at the core of the transition to such a development pathway; they account for approximately one-fourth of global greenhouse gas emissions and are related to the loss of 60 percent of global terrestrial biodiversity loss. Cities in highly urbanized and rapidly changing countries like Iceland can emerge as a central actor for social and political innovation. With geothermal energy and organized communities at the center, Reykjavik could become an exceptional laboratory to put innovation into practice. Carolina Zambrano-Barragán is a climate change and urban sustainability expert from Quito, Ecuador. Before coming to Harvard Kennedy School, she worked at Avina Foundation as Latin American Director of Sustainable Cities, as a professor at the Universidad Andina Simon Bolivar’s Master’s Program on Climate Change, as Director of Environmental Policy for the city of Quito and Undersecretary of Climate Change at Ecuador’s Ministry of Environment. She is a biologist and holds a Master’s in Environmental Management from Yale University.